High-quality accommodations. Attractive amenities. Space to foster one-on-one interactions and encourage professional networking. Reunion Resort, a Salamander Property, satisfies all of these requirements and more, which is why the LM team has selected it to host the LM Growth Summit for seven years in a row. 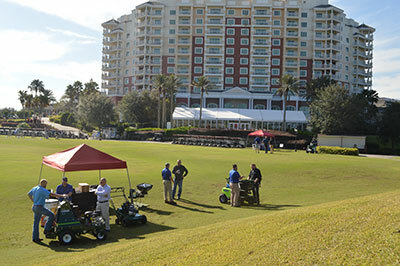 Qualified lawn care professionals will be invited to enjoy this spacious resort alongside their peers and leading supplier partners at this year’s event, November 12-14. Reunion Resort has 360 resort accommodations, including luxury condominiums, private villas and vacation homes. The one- to three-bedroom villas, where Summit guests will stay, offer free Wi-Fi, flat-screen TVs, full kitchens, private balconies/patios and a separate living area. Located in Kissimmee, Fla., the Reunion property itself is surrounded by 2,300 acres of beautiful green landscape alongside a nature preserve. The outdoor area on property is perfect for LM Growth Summit supplier partners looking to demonstrate their equipment during the event. On the first night of the event a standing reception will be held to welcome attendees to the resort. The welcome reception will take place at the Seven Eagles Pavilion, which features a large infinity pool and outdoor bar. Participants will enjoy delicious appetizers, games and relaxed networking to close out the first day of the Summit. 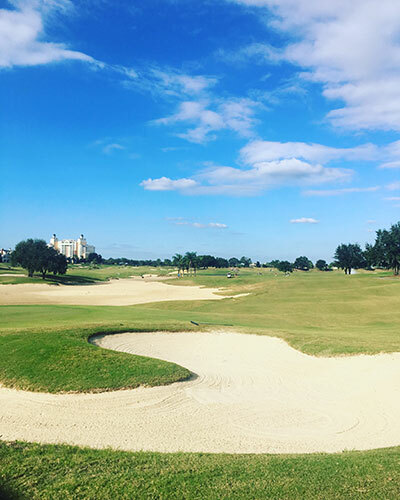 As a part of the Summit’s networking opportunities, attendees will have the option to participate in a golf outing on one of the resort’s three Signature Design courses. The Reunion Resort’s championship courses were designed by some of golf’s greatest legends: Jack Nicklaus, Tom Watson and Arnold Palmer. Reunion is one of only six resorts to receive Golf Digest’s “2018 best golf resorts in Florida” designation. Winners of the golf outing will be announced on the second evening during a barbecue dinner. The dinner will be held on the grounds at the Grande Pavilion, a 5,000-square-foot glass-enclosed tented structure with views of the golf course driving range. Outside, a stone waterfall and lava rock fire-pit add to the evening’s atmosphere. Although Reunion Resort is an expansive property, all of the Summit’s activities, meals, meetings and events will be within walking distance from guest accommodations. This makes it convenient for partners and attendees, ensuring that no one misses out on any of the networking or educational opportunities offered at the LM Growth Summit. A premier event calls for first-class accommodations, and that is what you will find at Reunion Resort. Reunion Resort is located at 7593 Gathering Dr, Kissimmee, Fla. 34747. For more information on the venue and its accommodations visit www.ReunionResort.com. For more information on the 2018 LM Growth Summit, please visit the event page here or check out our latest LM Growth Summit update here.